Check out some of my listings. Seattle restaurant broker. Seattle commercial broker. Seattle Broker. Seattle commercial real estate. Seattle restaurant for sale. Seattle restaurant sales. The Herbfarm, a Legacy Brand, 5 Diamond destination in Woodinville Wa. An opportunity of a lifetime -- America’s only AAA 5-Diamond awarded restaurant west of Chicago and north of Napa Valley and one of only 55 in the United States. For more than 30 years, The Herbfarm, the original farm to table restaurant has garnered fame for championing the foods and wines of the Pacific Northwest offering a nightly single-seating, nine-course dinner matched with regional wines, beers, or herbal botanicals. Housed in a stunning custom-built, stand-alone building with gardens on 1.5 acres of land at the beautiful Willows Lodge, the opportunity includes the two Herbfarm Romantic Suites as well as the restaurant’s farm, one mile to the south. Founders and proprietors Carrie Van Dyck and Ron Zimmerman are pleased to pass the legacy torch to the just-right next caretaker. Jubie's Restaurant, Everett Wa, Caribbean BBQ. Land and Business. For Sale. 2 parcels at corner of Hewitt and West Marine View Drive. Lighted intersection with 9000 daily traffic count. Close to Everett waterfront with views of Everett port and Olympic Mountains. Great development site zoned C1 General Commercial. The property is located within 1/2 mile of Everett Naval Station and Providence Hospital...two of the top 10 Employers in the entire Snohomish County! Outstanding views of Everett port, harbor and Olympic mountains. From I-5 take the Broadway Exit North to Hewitt Ave. Left on Hewitt. ~ 2/3 mile to West Marine View Drive. Parcels on the corner on the right. 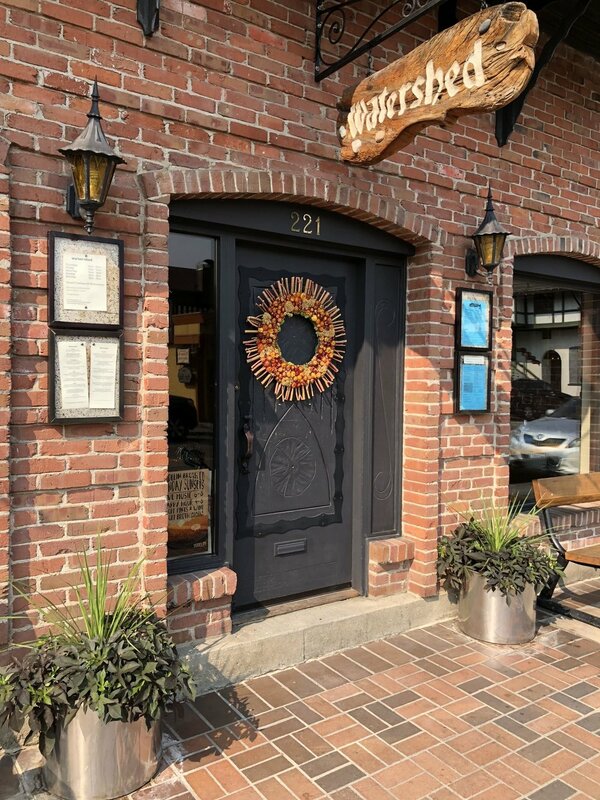 Watershed Cafe, Leavenworth Washington's Premier Destination Restaurant..
Popular "Farm to Table" restaurant in the heart of the Cascades. Located downtown in popular tourist destination, Leavenworth Washington. A top favorite with locals and tourists alike that is booked five nights of the week to capacity featuring farm to table and seasonally inspired cuisine. Surrounded by stunning mountain and water views you will forget that Seattle is only two hours away. Great synergy and directly across the street from the new luxury hotel, Posthotel. Beautifully crafted dining room and open format kitchen has seating for 75 inside and 45 on the patio. This number one Trip Advisor rated restaurant has excellent cash flow with a huge upside catering to the over 2 million visitors a year. Attention custom, spec & multi-family builders & developers: 2.22 private, secluded acres in Snohomish Bothell. Can be rezoned, possible adult home, day care, also a great opportunity for custom home or remodel of current home, multi-family, multi-plat or community development. Home, shop, containers included but the value is in the land. Great location, access, Northshore SD, buyer to verify highest and best use of land. Seller intends to review offers upon receipt and is a Broker licensed in Wa. State. Buyer to verify all use and codes for their purpose, rezone or conditional use permit may be required. Moltissimo Building, Bellevue Washington, 3,400 square feet perfect for retail, salon or spa. 3,748 SF Modern Craftsman Style 🚒Fire Station🚒 on a 13,732 SF Lot in the Red Hot Finn Hill neighborhood of Kirkland. Built in 1994, opportunity and imagination makes great possibilities for a single family remodel project, day care, adult family home or split the lot and develop into two homes in this sizzling hot neighborhood. Property features a high power Oman Generator, in-ground irrigation, over sized garage and shop with 4 "Bedrooms" 2.5 bath, full kitchen & gas, office/den plus more! Buyer to verify all uses and possibilities within City code prior to offer submission date of September 24.